If I’m going to promulgate “What Would Johann Do?” as a musical parlor game, I can’t very well ignore the significance of March 21st, can I? Leipzieg honors JS Bach, by making him look as stern as possible. Photo courtesy zarafa and wikimedia commons. Anyway, I’m celebrating with a favorite and a poll. As I had the good fortune a few years ago to be heard by Your Royal Highness, at Your Highness’s commands, and as I noticed then that Your Highness took some pleasure in the little talents which Heaven has given me for Music, and as in taking Leave of Your Royal Highness, Your Highness deigned to honour me with the command to send Your Highness some pieces of my Composition: I have in accordance with Your Highness’s most gracious orders taken the liberty of rendering my most humble duty to Your Royal Highness with the present Concertos, which I have adapted to several instruments; begging Your Highness most humbly not to judge their imperfection with the rigor of that discriminating and sensitive taste, which everyone knows Him to have for musical works, but rather to take into benign Consideration the profound respect and the most humble obedience which I thus attempt to show Him. The Second Brandenburg is a cheerful, even ebullient, work. It follows the normal 3-movement pattern, in which a central slow movement is flanked by quick outer movements. 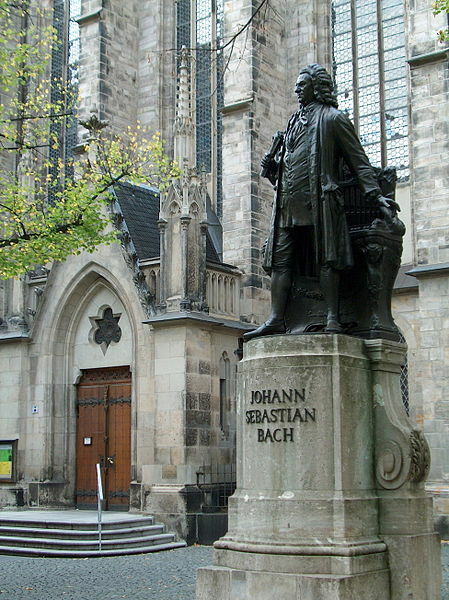 Like any normal concerto grosso, the Second Brandenburg features musical forces divided into two groups: the orchestra (‘ripieno’) and a group of ‘solo’ instruments (‘concertino.’) The concertino here consists of four contrasting treble instruments: recorder, oboe, natural trumpet in F, and violin. Incidentally, the “piccolo trumpet in F” seems never to have been used previous to this work–and may not have appeared again until the late 19th century, when versions of it were constructed specifically to use in playing Bach trumpet parts, most emphatically including this one! 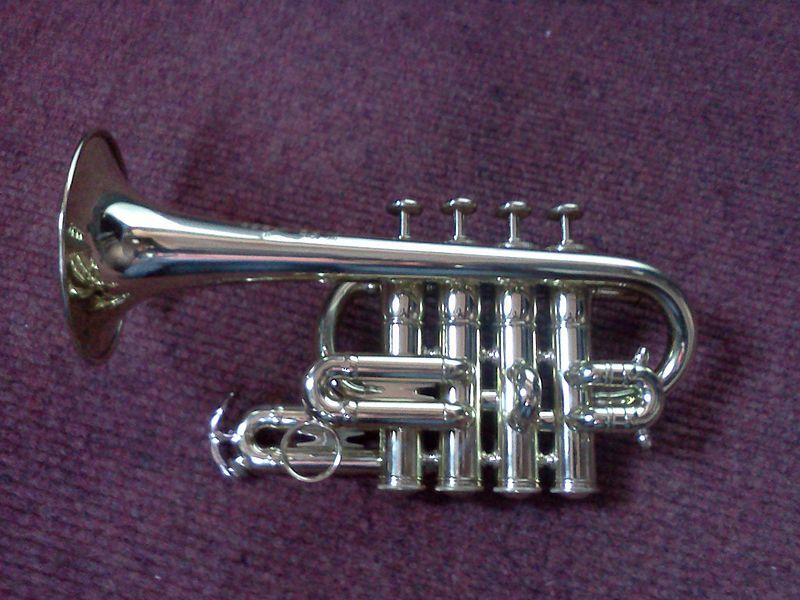 A modern piccolo trumpet. Image courtesy Christopher Roberts and Wikimedia Commons. The third movement then breaks in like a flash of sunlight in a dim room with the solo trumpet cavorting in a triumphant, unprepared F major, as if impatient at its enforced silence. (“As if–,” since in many cases the player will have been cherishing his or her opportunity to rest and regroup.) The overall tone is somewhat similar to the first movement, but lighter and more relaxed overall, with the quadruple meter of the opening superseded by duple. It’s a wonderful, substantive and uplifting piece–all in less than a quarter hour. I must not be the first to think so, either: the first movement is now to be found outside of this solar system. It is the first musical selection of the famous “golden record” included aboard both Voyager probes. “Out of this world”–literally. Check it out, if you don’t know it already! What’s your favorite Bach? And why? Vote in the poll below, or make a comment.